Although white coat hypertension is chalked up to general anxiety, it may be the medical setting, and specifically the physician, that acts as the trigger. A research letter uncovers how often physicians face malpractice claims, and builds a case for policy reform that ensures fair compensation for patients who are harmed and less time spent on cases that are eventually dismissed. 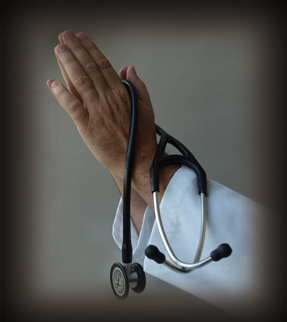 Physicians who are comfortable with their own spirituality may find it easier to incorporate patients' beliefs into clinical practice. Compliance with the switch to ICD-10 diagnosis coding has been delayed to Oct. 1, 2014. The delay will let doctors, software developers and vendors fully test the new coding set in the office setting. A 77-year-old man has a 1-year history of increasing fatigue. He has not seen a physician for at least 3 years. Medical and family histories are unremarkable, and he takes no medications. The patient appears pale. Based on lab values, a bone marrow aspiration and peripheral blood smear and bone marrow biopsy, what is the most likely diagnosis?.